I’ve talked about using an Intel-powered all-in-one computer as a work computer in place of my laptop and for family entertainment already. But there’s one other place where I’m really enjoying this computer: the kitchen. If you’ve been a Life Your Way reader for very long, you probably already know how much I love Plan to Eat. Yes, I’ve worked with them before and they’ve been advertisers on the site in the past, but I’ve also used the program faithfully for close to four years now. You see, all of my recipes are stored in Plan to Eat, which means I need a device in the kitchen when I’m cooking. I’ve used my laptop…and ended up with crumbs in the keyboard. I’ve used the iPad, but it’s mostly the girls’ iPad at this point, which means it’s often in use…or has a dead battery. And I’ve used my phone the most…squinting at the screen and getting frustrated when it turns off mid-recipe. 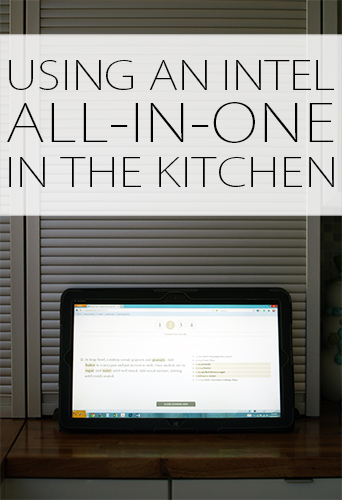 While the all-in-one has a wireless keyboard and mouse, it’s also a touch screen with an on-screen keyboard, which means I can stand it up in the kitchen without worrying about crumbs or liquids getting down between the letters of the keyboard. 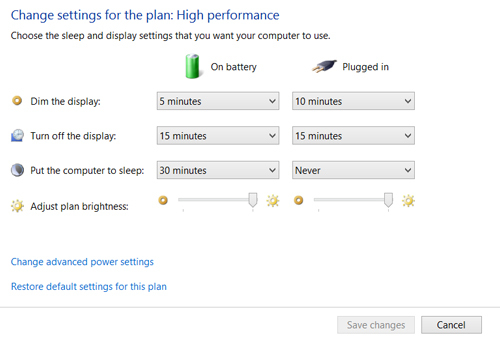 I also changed my high performance power settings so that the screen doesn’t turn off for 15 minutes and the computer doesn’t actually go to sleep for 30, which means I don’t have to worry about trying to get it turned back on in the middle of a recipe with my hands covered in flour or garlic juice or whatever it may be. Because the all-in-one is so thin, it takes up very little counter space but still gives me a large screen to look at, which I love! So, back to Plan to Eat. 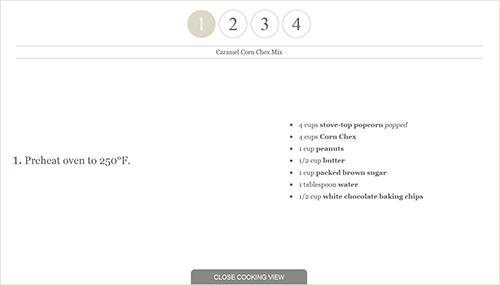 The best part is that Plan to Eat’s new “cooking view” offers a full-screen view of your recipe, one step at a time. This is perfect for keeping your place in the recipe, and I love using it for the girls, because it simplifies the instructions for them. On the Dell XPS 18, the instructions are big and uncluttered and clear. It’s the perfect combination! I am working with Intel AIO PC and received a Dell XPS 18 in exchange for agreeing to share my experience, but all opinions are 100% mine! Do you use electronic recipes?